The robot ballbar test allows you to measure the accuracy of a robot using a telescoping ballbar measurement device. You can regularly run the ballbar test to have a record of your robot's degradation. 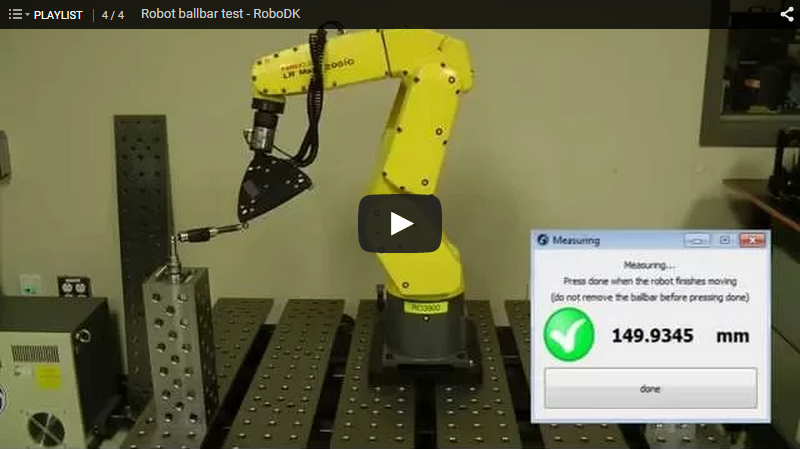 RoboDK's ballbar test with the Renishaw QC20-W ballbar is the most cost-effective way to certify your robots! This test was performed at CoRo laboratory.